1. Preheat oven 200°C/180°C Fan. 2. Make a thin paste my missing the cornflour with the water. 3. Roll the sea cakes in plain flour, then in the cornflour paste and finally in the breadcrumbs. 4. Place cakes on a grease proof lined tray sprayed with a little oil. 5. Spray a small amount of oil on top of the cakes. 6. Bake for 25-30 minutes, turning them over midway. 7. 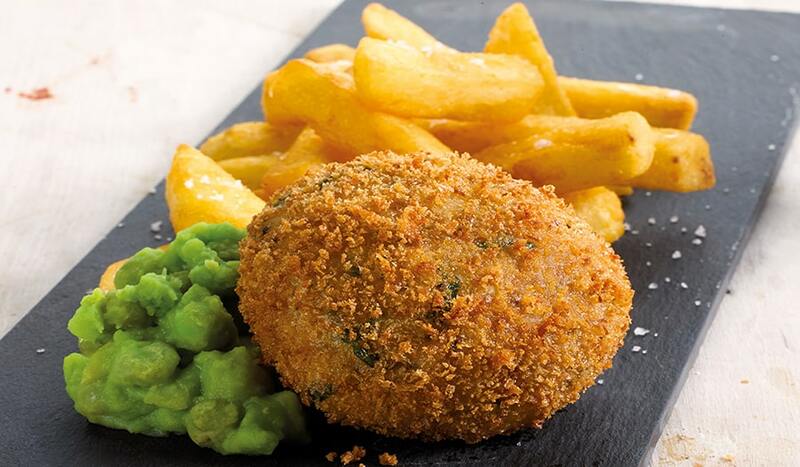 Serve hot with thick cut chips and mushy peas.